Lufthansa is further expanding its route network to South America. From 16 November 2015, the airline will offer year-round flights to Panama City for the first time, subject to government approval. An Airbus A340-300 aircraft will fly five times a week between Frankfurt and the economic metropolis in Central America. Flight LH 484 will take off from Lufthansa’s Frankfurt hub in the morning at 10.15 a.m. and arrive in Panama in the afternoon at 4.40 p.m. (local time) after a flight time of 12 hours and 25 minutes. The return flight LH 485 will depart from Panama City in the early evening as a night flight and land at Frankfurt Airport the following morning. On board, passengers can expect to find Lufthansa’s usual high level of comfort. A total of 298 seats will be available in Business, Premium Economy and Economy Class, featuring the latest cabin design in all classes: seats in the new Business Class can be converted at the touch of a button into a comfortable horizontal bed measuring 1.98 metres in length. In the new Premium Economy Class, increased legroom and a greater seat pitch await passengers. With the individual in-flight entertainment system, there is a wide range of entertainment on offer for passengers in all travel classes, as well as FlyNet, the wireless broadband internet. 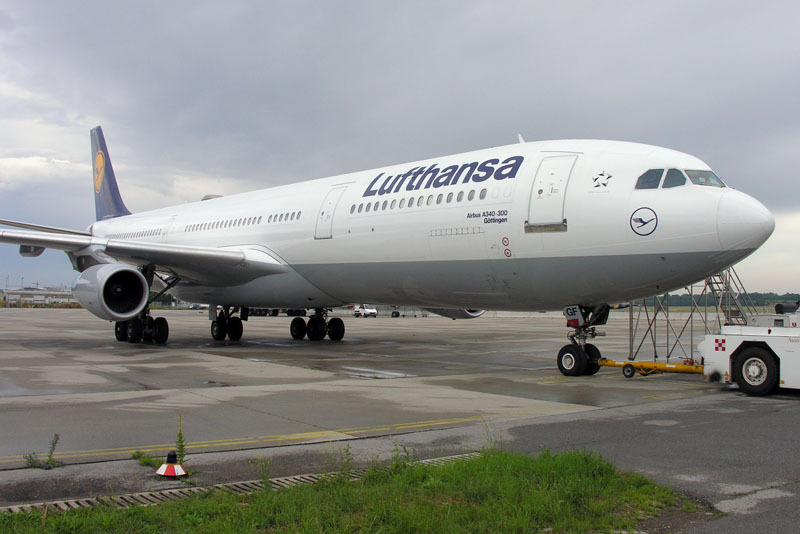 Lufthansa is also expanding its partnership with the Panamanian airline Copa. Lufthansa passengers will in future be able to easily reach a further 50 destinations in Central and South America and the Caribbean with the partner airline. The most important travel destinations in Copa’s network include airports in Peru, Ecuador, Costa Rica, Nicaragua and Guatemala. The times of the Lufthansa services are coordinated with Copa’s connecting flights in such a way that passengers can transfer comfortably at Tocumen Airport, Copa’s “Hub of the Americas”.